After a tap on the About button in the main menu this panel is shown. See Section 4.2, “Menu”. A tap on one of the options expands (or collapsed) the underlying section. The sections are described in the paragraphs below. 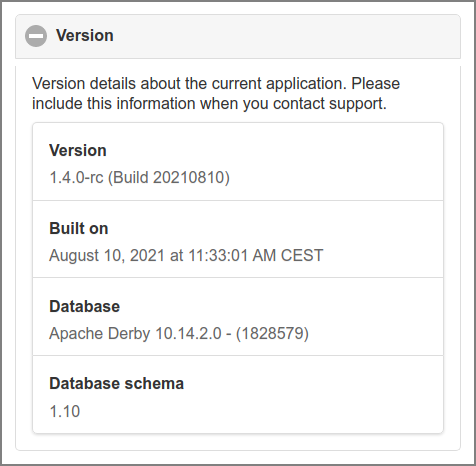 The Version Info identifies the application and database version. Please include this information when you contact support. This section displays the license information with related links in green. The Community section gives all the information about your Community Membership. 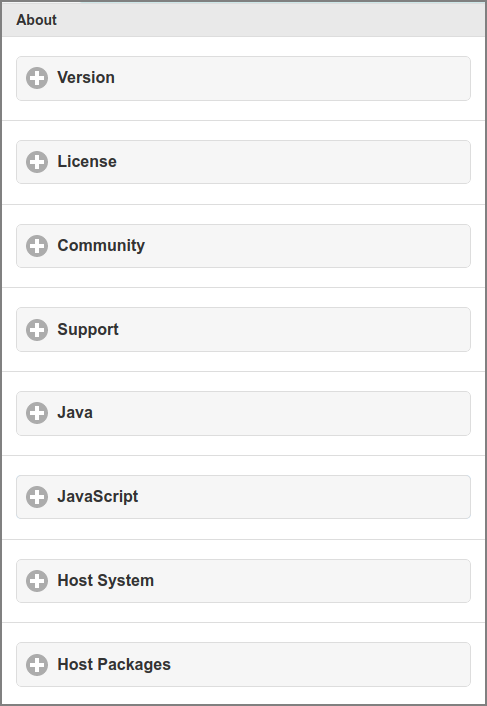 See Figure 4.4, “Admin Web App: Dashboard - Status” for a summary of Membership Status values. See Chapter 21, SavaPage Community for an explanation about SavaPage Membership in general. 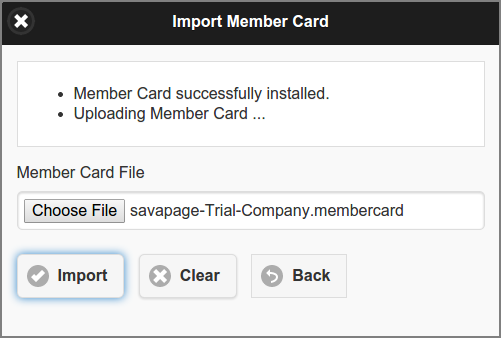 Press the Import Member Card button to start the Import Dialog. Select the Member Card file to be uploaded. The actual file selection trigger differs from browser to browser. The screenshot above is from the Chromium browser. The progress of the import is displayed at the top of the dialog box. The Back button brings you back to the Community section. Just in case, the Clear button clears the messages and selected file. 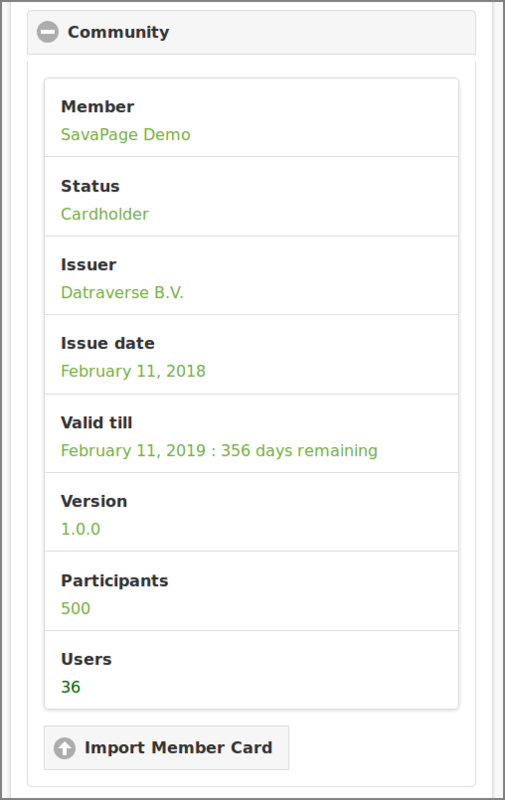 Due to Admin Privileges the Import Member Card button might not be visible. 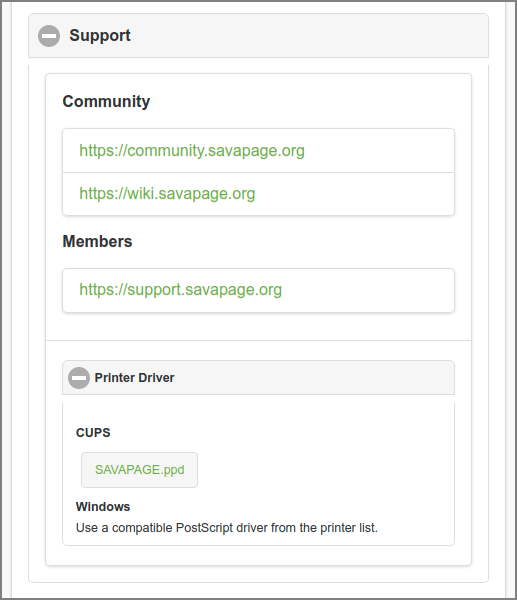 The Support section shows the addresses for online information and the Help Desk and offers download links for the SAVAPAGE.ppd file. 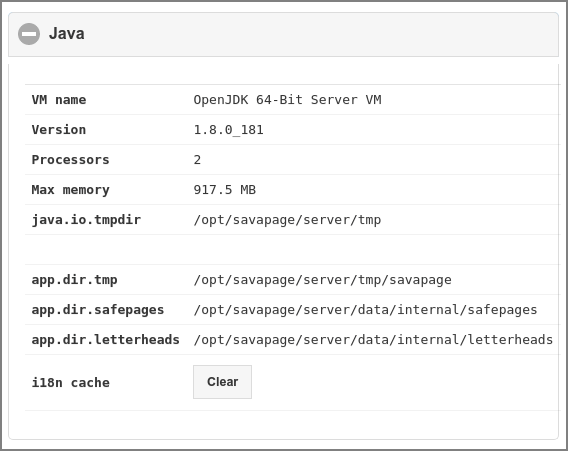 This section displays Java runtime information and file locations. 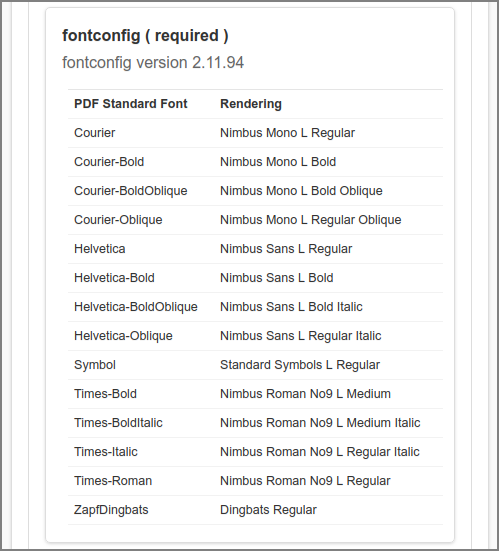 Press the Clear button to clear the i18n cache, so changes in custom i18n files immediately take effect. This section displays name, version and architecture of the host operating system and the GNU/Linux parameters described in Section 20.1, “Linux Kernel Parameters” and Section 20.2, “Linux User Limits”. 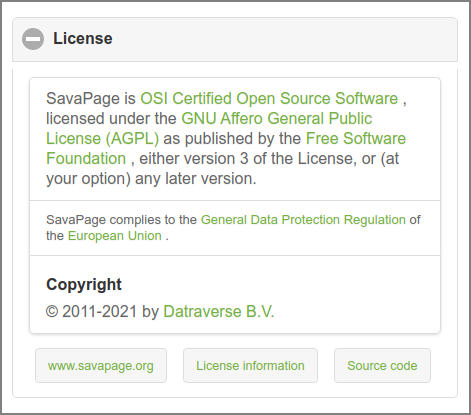 The Host Packages gives version information about the required and optional third-party software installed on the SavaPage host. Section G.2, “Advanced File Types”. 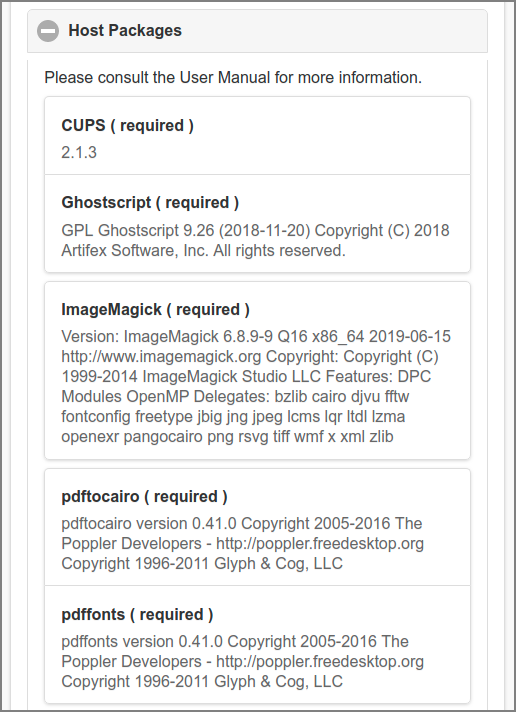 Before xptopdf and LibreOffice can be used they must be enabled. See Figure 4.110, “Admin Web App: Options - Converters”.